The International Art Center the Prokofiev Russian Symphony Orchestra was organized in 2003,October, 30th . The first performance of the orchestra had place in 2003, Novemberl 14th in the hall of the Composer Union of Russia at the International modern music Festival "Moscow autumn 2003”. The conductor No-to-Chol (South Korea) led an orchestra. ln a given time theOrchestra performed repeatedly in Moscow and Lipetsk, took part in the ceremony of grand openinig Manege, in the recording of phonograms for the concert in the Red Square 9 May 2005. It went on tour in Italy and Cyprus. The Orchestra is consisted of high-quality musicians, which are able to perform high-level musical compositions of any complexity. The general director of the Orchestra is Alexander Lagutkin. "International Art Center the Prokofiev Russian Symphony Orchestra"
There are classical symphony compositions, ballet and opera masterpieces, musical and popular songs. And they go well together. classical and popular music both in Russia and abroad, as well as forming and satisfaction ofpeople's spiritual demands. 2. It provides with music main cultural actions of the social importance in Mowow and throught Russia, as well as it organizes contests, festivals and another cultural actions. 3. It organizes concerts with foremost performers and choirs and takes them part. It provides performances (operas, ballets, musical etc) with music. 4. It organizes concert with foremost popular singers on the most prestige scenes and takes them part. 6. lt records phonograms of Russian song fund as well as creates musical material which is able to keep up Russian culture traditions on a level with highest artistic standards. 7. lt pertorms popular and classical music without using any phonograms what gives a powerful incentive to reconstruction ot Russian song traditions and to solution a lot of creative tasks. 5. A. Dvorgiak’s Symphony №9. 6. G. Berlioz’ Fantasy symphony. 7. P. Tchaikovsky’s "Swan Lake”, "The Nutcracker”, "Sleeping Beauty”. 8. 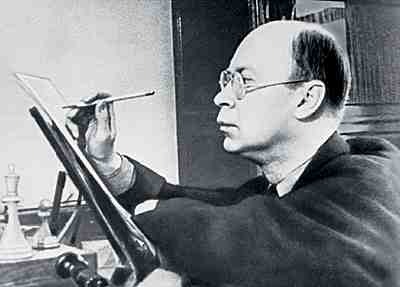 S. Prokofiev’s "Romeo and Ju1iet”, "Cinderella”, "Ivan the Terrible”. 9. L. Minkus’ "Don Quixote” of L. Mincus. 12. T. Khrennikov’s "Napoleon Bonaparte”. 1.Programs with L. Pavarotti and A. Bocelli’s repertory. 2.Programs with T.Johns and E.Humperdink's repertory. 3.I. Schtraus’ waltzes. polkas, gallops. 4.Programs with E. Kalman, C. Porter and Y. Mi1utin’s operettas. 5.Programs with musicals "Evita”, "My fair lady”, "Cats”, "Starlight express” etc. 6.Song programs with participation of Russian variety performers like I. Kobzon, L.
Leschenko, N. Baskov, T. Gverdciteli, L. Dolina etc. 7.There are programs of background instrumental music for solemn actions and receptions. There are 30-90 musicians and in the orchestra; it depends on the musical genre and aims of each concrete performance.